At Peridot, achieving the impossible is just another day at the office. Welcome to Peridot. Faster than a speeding deadline. Able to leap huge engineering obstacles in a single facility. It’s a partner! It’s a specialist! It’s Peridot, your resource for prototyping, testing, fabrication and distribution of virtually any precision component. We can’t quite bend steel with our bare hands (unless it happens to be very thin). But we can laser weld, wireform, Hypotube form, laser burn, metal fab and much more, thanks to our state-of-the-art equipment and our super suits (particularly useful for our Validated ISO Class 8 Controlled Environment Room). So when chaos threatens and your project is on the line, just call Peridot. And consider the day saved. Precision manufacturing for the world’s most complex machine. From the smallest micro-miniature components to the huge new ideas, Peridot knows that when your business is saving lives, innovation is essential. And there’s zero margin for error. Your next-generation, vertically-integrated production partner. Our extensive capabilities include prototyping, precision component and assembly fabrication, testing and packaging and distribution. Trusted By those who do “the next big thing”. Featured equipment from our arsenal of awesome. 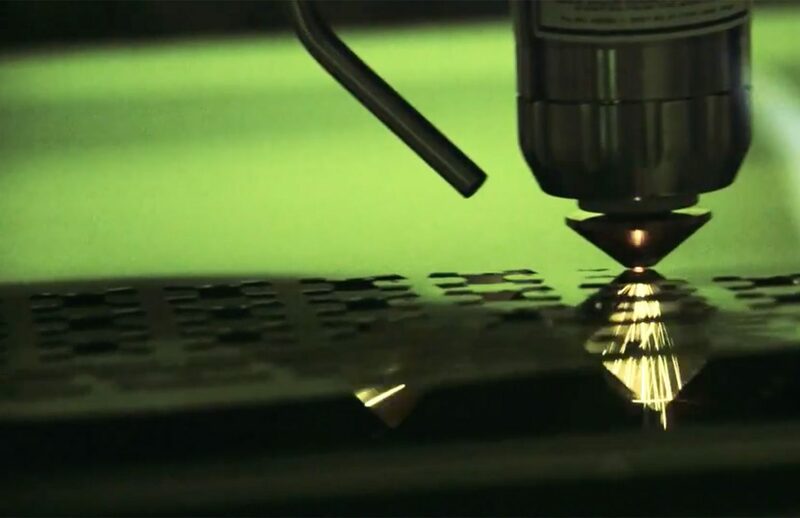 Peridot’s CNC laser cutting equipment produces burr free, close-tolerance parts with minimal heat affected zones, while allowing rapid changes to part specifications. Peridot’s has nine laser workstations all equipped with X-Y and rotary axis capability that can etch logos, serial numbers and part identification on everything from metal to wood. Peridot has perfected the art of using pulse-shaping, fixturing and assist gasses to tackle impossibly small, delicate welds, often joining dissimilar metals and dissimilar shapes that others can’t. We make things you have to see to believe. See how passionate people combined with trailblazing technology help Peridot perform precision manufacturing miracles. They Came. We Solved. Peridot Conquered. At Peridot, overcoming the impossible is just another day at the office. 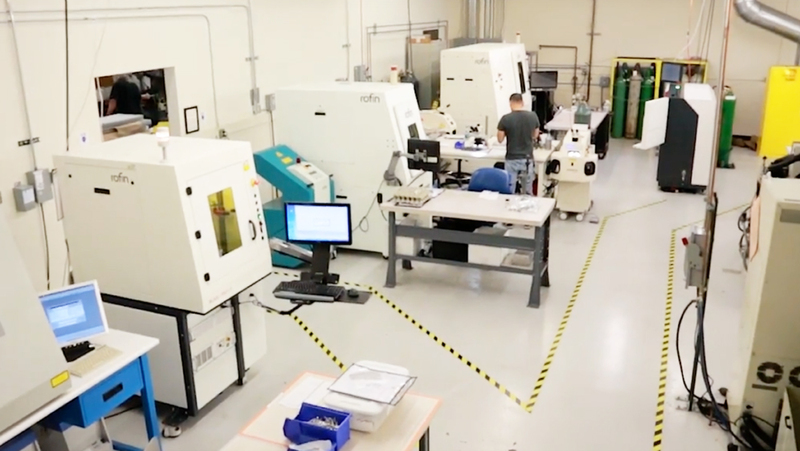 We’re challenge-hungry, cross-industry experts performing jobs in-house everyday that include cnc machining, laser cutting, marking and welding, wireforming, hypotubeformation, metals and plastic fabrication, complex electromechanical assembling, and many more. This case study will give you a peek under Peridot’s hood. We Employ the World’s Best Thinkers, Tinkerers, and Miracle Workers. Meet the meticulous minds behind the machines. While we don’t think of ourselves as daredevils, truth is we love a good challenge — finding ways to do what the others say can’t be done. We thrive on meeting and exceeding deadlines. With over thirteen years experience with device fabrication and precision miniature and micro-miniature component assembly, Peridot can prototype, test and produce at the speed of delight. Why would anybody choose to do Precision Manufacturing for a living? It’s complicated, it’s tedious, it’s demanding. These are the very reasons why Peridot employees love to come to work every day. We are all challenge-hungry industrial-tech nerds. We are the original “makers’ — who started out of our own garage (so to speak) nearly 25 years ago to discover a better and smarter way to build things. And we’re still at it today. We love that our clients push us to think harder and work smarter. We are dedicated to supporting our clients development cycles with a willingness to invest in engineering support and thorough consultations. We make sure we optimize material choices, manufacturing options, process sequencing, clean-room assembly — right through to packaging and logistics management — so we can maximize production efficiencies across every project cycle. But we’re also a bunch of gear-geeks. We can’t wait to get our hands, and minds, on the latest manufacturing technologies. We’re always trying to anticipate and identify manufacturing equipment improvements that deliver a clear advantage in terms of both speed, quality and precision. We are a true “one-stop-shop,” offering a broad range and depth of primary, secondary and tertiary manufacturing processes. And we’re proud everything we manufacture is 100% American-made.